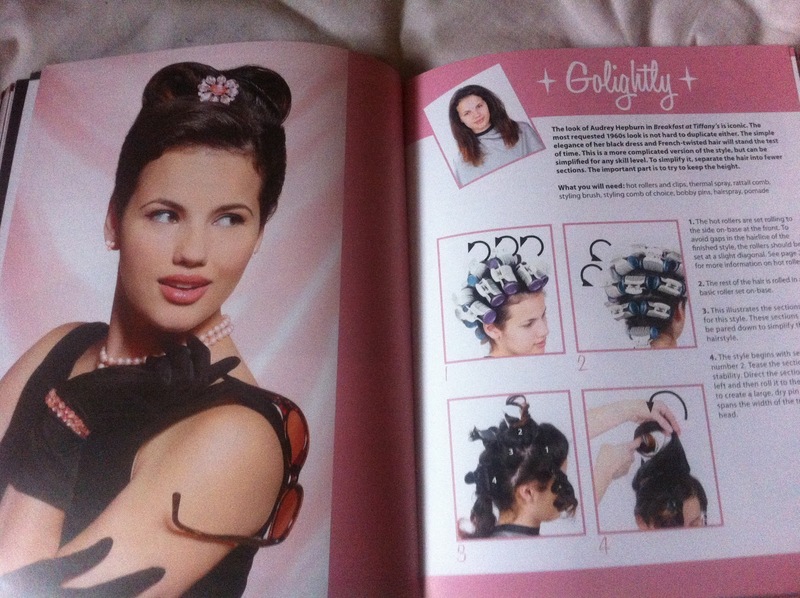 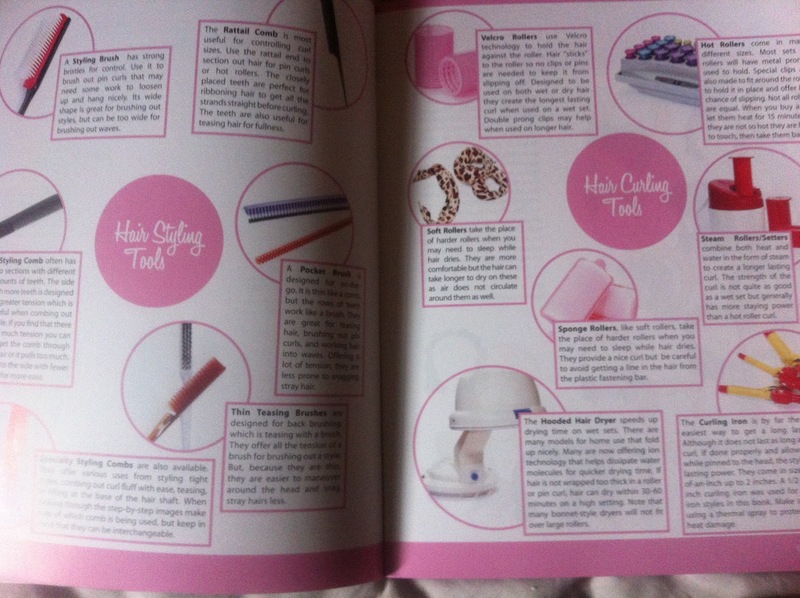 Nouveau Showgirl: Vintage Hairstyling - Book Review! I've mentioned this book before but I love it so much that I thought it deserved its own blog post! 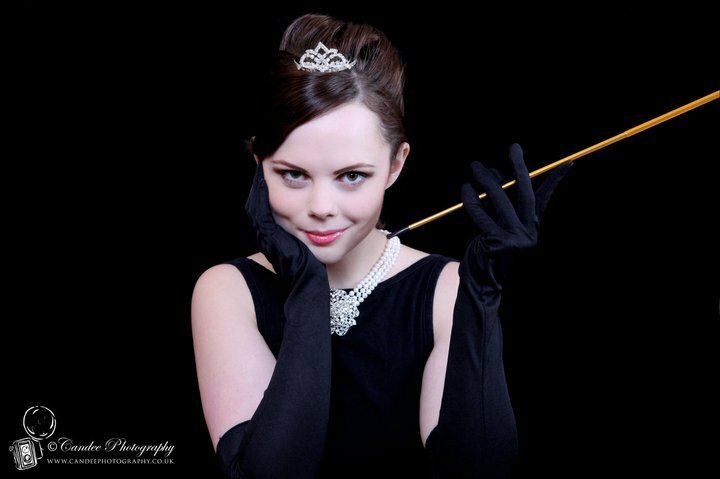 The books author, Lauren Rennells, is a fellow Blogspot user, and writes here! 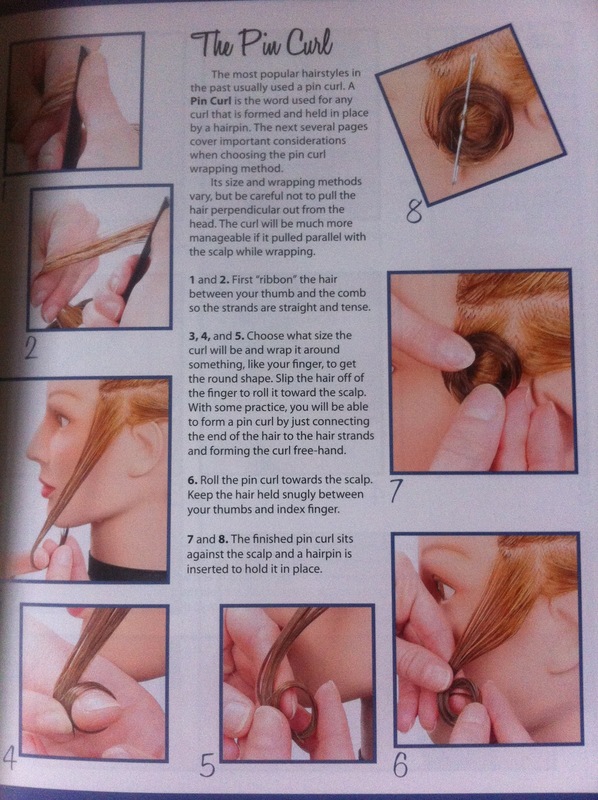 I can lose hours going through this wonderfully informative blog. Well, back to the book - this is the second edition: I did the first edition but loaned it to a friend who never returned it. 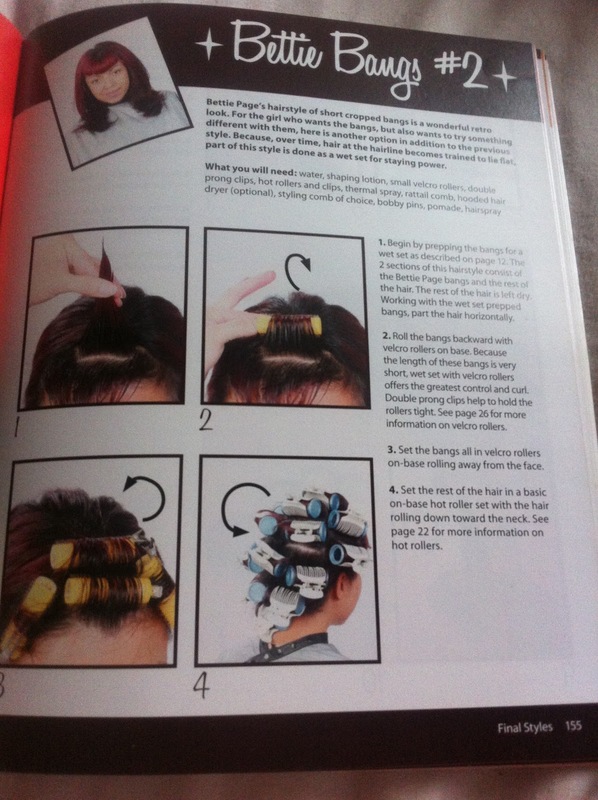 It was a good excuse to buy the revision though, which has more styles and techniques in than the original. 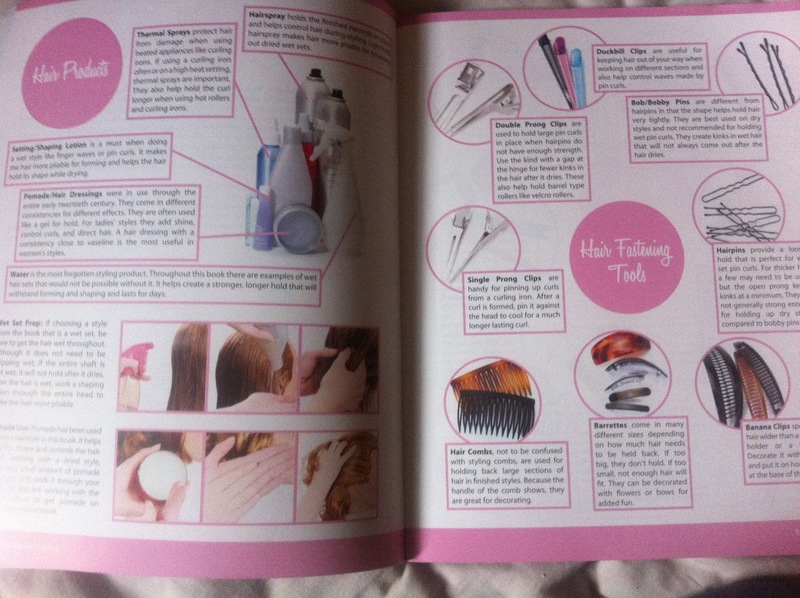 The first section of the book contains product information and pictures, explaining which products work best for different techniques and styles, and detailing their uses, both in modern and vintage styles. There then follows several pages on different types of curls, including the ubiquitous Pin-Curl and Victory Roll as well as the Marcel wave or the Finger wave, popular in the 1920's. 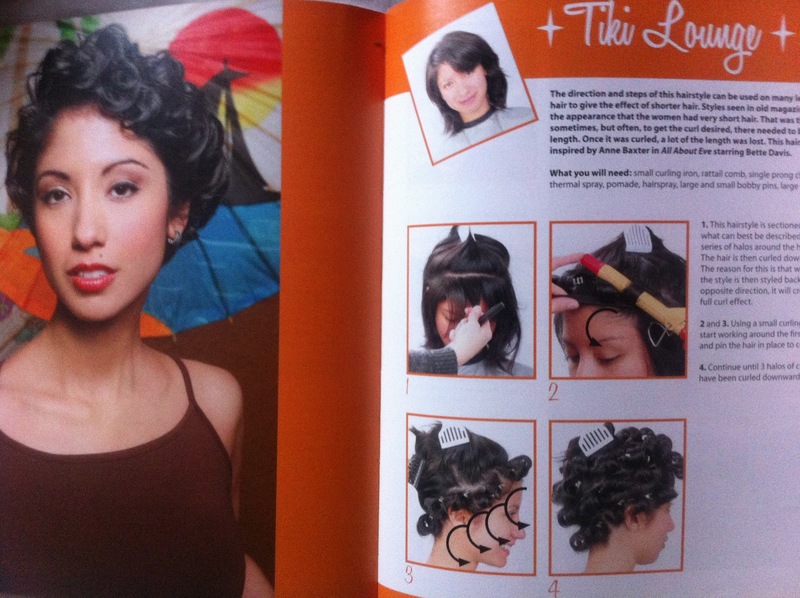 There are also details of different sets, combing out techniques, and producing curls with different methods such as water or velcro rollers. 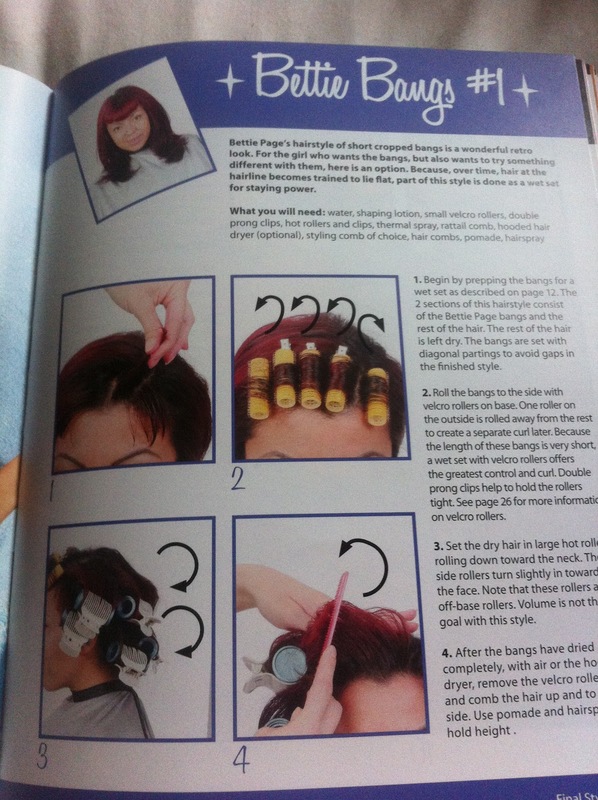 Close-up images accompany the step-by-step instructions, making something that could be quite confusing, clear and concise. 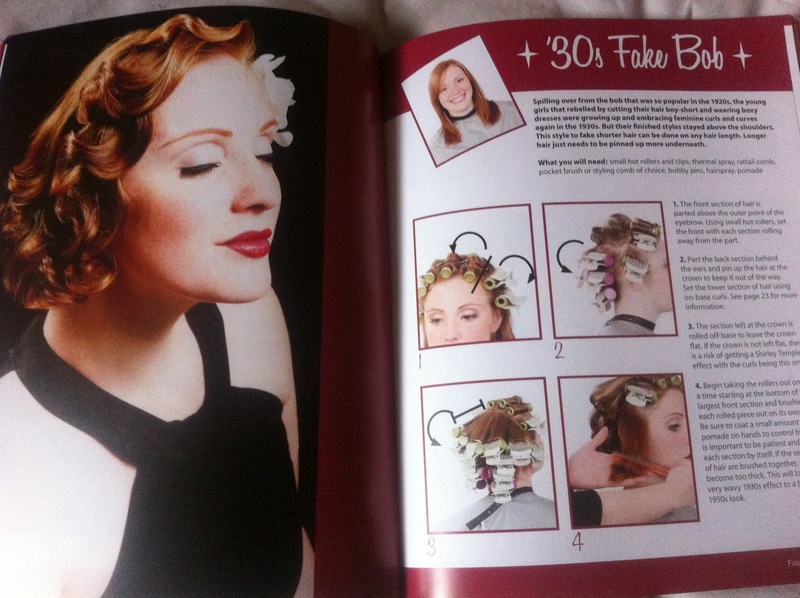 The main section of the book is my favourite, featuring finished styles and instructions on how to create them yourself. 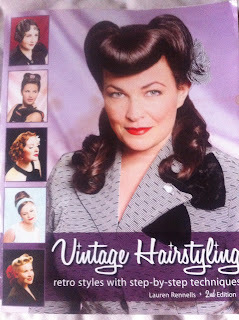 Some styles list different variations to create different looks, such as the Pompadour, which offers the Pompadour Twirl, The Happy Pompadour or Your Unique Pomp, or the option for styling fringes: Bettie Bangs #1, and Bettie Bangs #2. 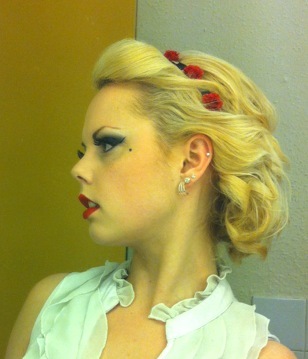 Several of the styles are based on iconic movie hairstyles, such as the Golightly, inspired by Audrey Hepburn's character 'Holly Golightly' in the classic film "Breakfast at Tiffany's" or the Bardot which is obviously inspired by the film beauty Brigitte Bardot. 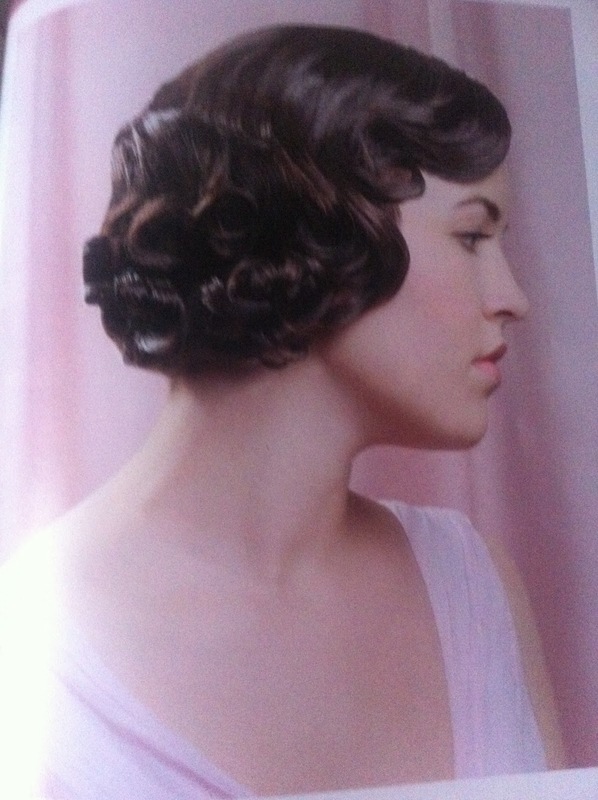 The hairstyles also cover a range of eras: The Silent Film Star is based on the silver screen stars of the 1920's, there is the 30's Fake Bob, The Page Boy, which recreates a style popular in the 1940's, The Pin-Up is reminiscent of the bombshells of the 1950's and the Beehive is pure 60's glamour. 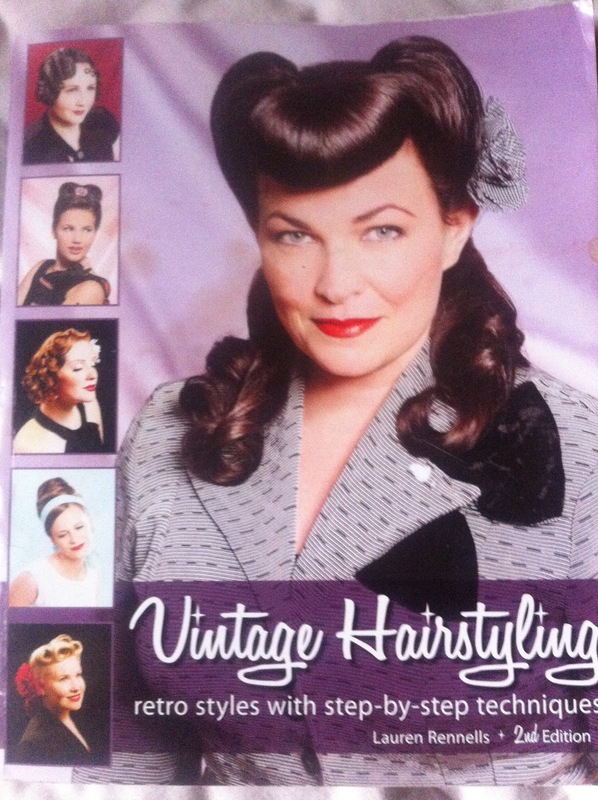 There are also several modern-looking styles such as the French Twist or the Receptionist that, while popularised in the past are still very much used today, more so than the obviously retro styles such as Hat Hair or Snood Style. 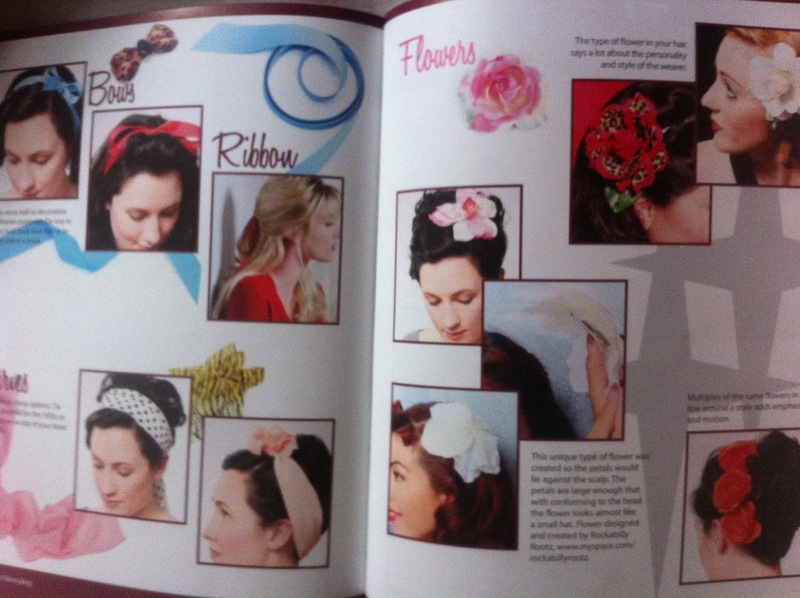 The final section of the book is given over to finishing touches, and covers scarves, flowers, pins and other hair ornaments: there are different options of scarf styles, and even instructions on how to make a beautiful hair flower. It then briefly covers classic vintage make-up, such as winged eyeliner and scarlet lips and includes vintage manicures too! 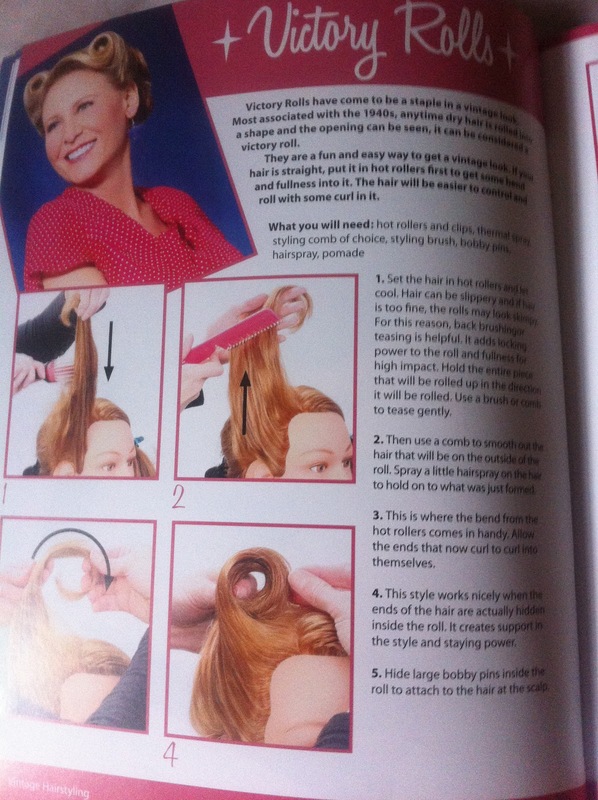 I love trying out the styles in the book and making them work for my hair - photoshoots and shows are perfect for this as they allow me to experiment and create hairstyles that maybe wouldn't work in day-to-day life. 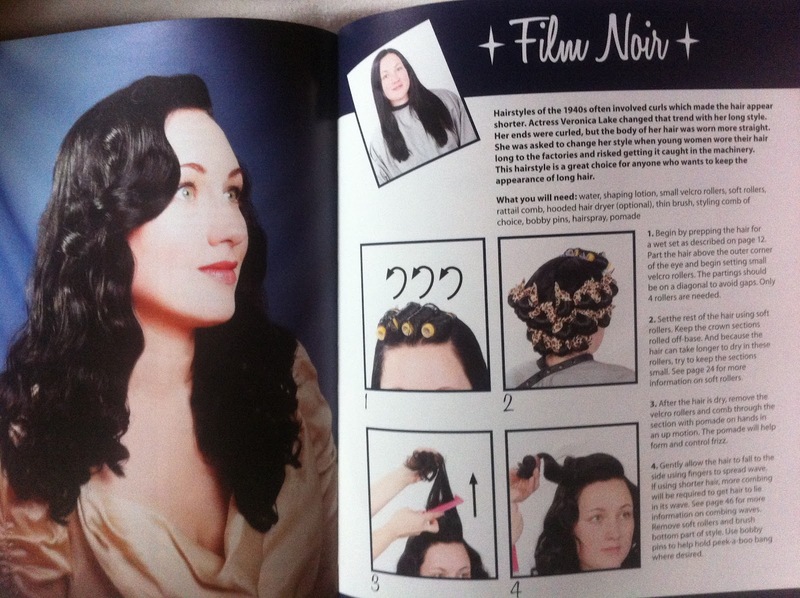 My favourite styles in this book are Snood Style #1, Your Unique Pomp, The Pin-Up, Tiki Lounge, The Receptionist, For The Boys, Jazz Singer, Silent Film Star and Hat Hair - several of them are intended for longer hair than I currently have but the beauty of the instructions is that many of them can be adapted, and it is easy to combine styles: for example, I have very short hair with a longish fringe so I can style the back using The Contessa and the front using The Page Boy to create my own unique hairstyle! 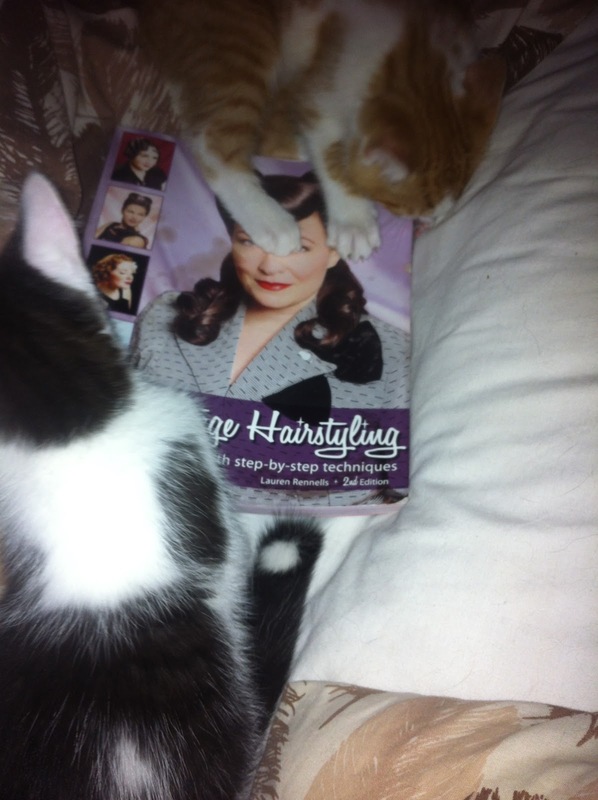 Oh, and the kittens love this book too!